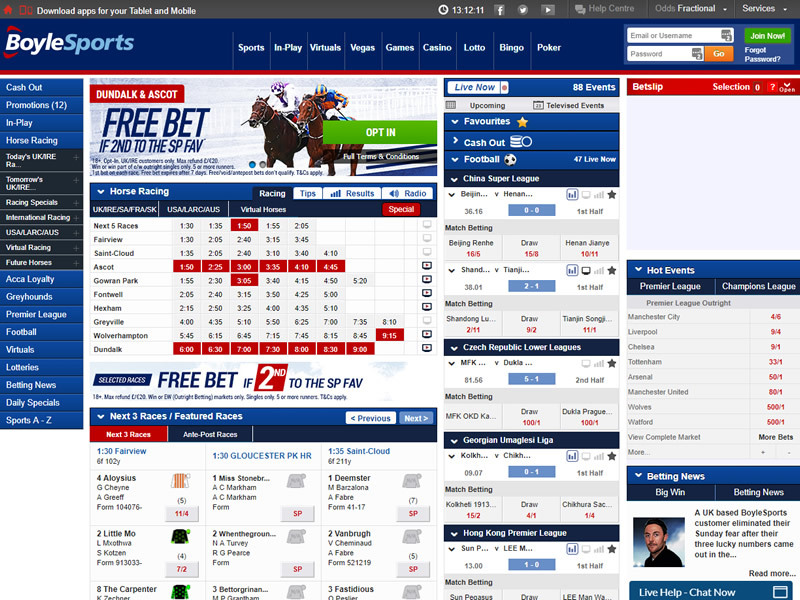 Established by John Boyle in 1989, Boylesports is Ireland’s Second largest bookmaker growing to over 250 land-based shops. They now offer telephone, mobile and internet betting and gaming services in Ireland, the UK and a range of other international markets. 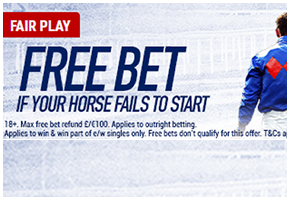 Free Bet if your horse fails to start*. Max refund £/€100. Outright Betting only. Singles only. T&Cs apply. 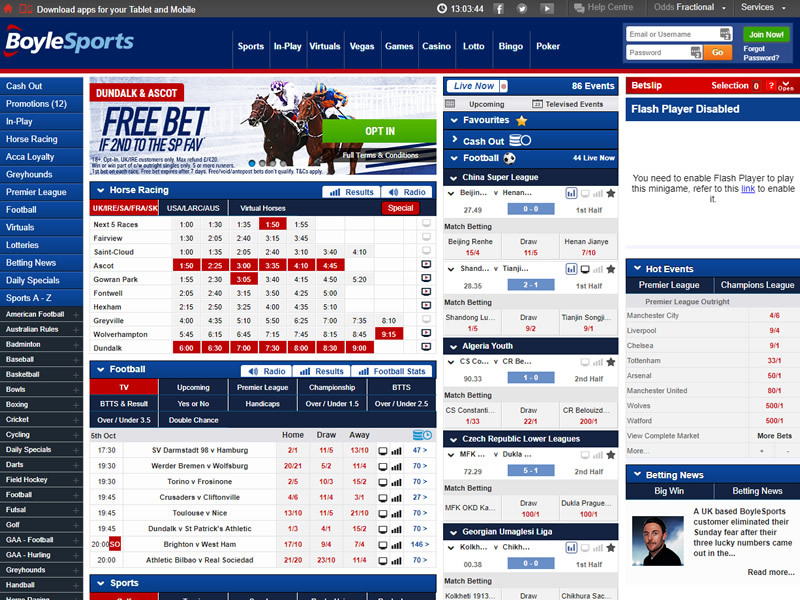 When you land on the BoyleSports website you’ll be greeted by a modern & Sleek website which is very easy to use and place bets on! It has a prominence of horse race betting due to its heritage Irish roots. 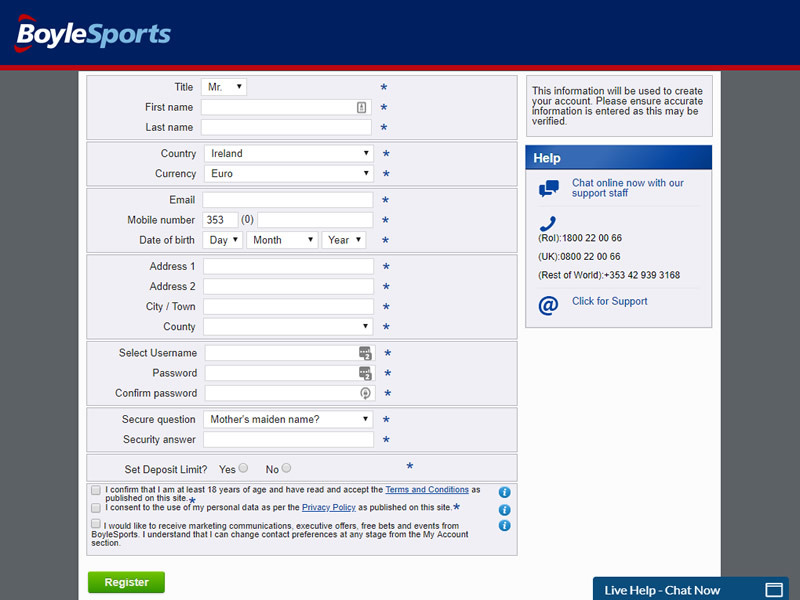 Some of the sports that are featured on BoyleSports include: NFL, Australian rules, baseball, basketball, boxing, bowls, cricket, cycling, darts, football, GAA football, GAA hurling, golf, greyhounds, horse racing, handball, ice hockey, motorsport, pool, rugby league, rugby union, snooker, tennis and MMA. They also offer numerous specials on such things as reality television and awards ceremonies, like the Oscars. 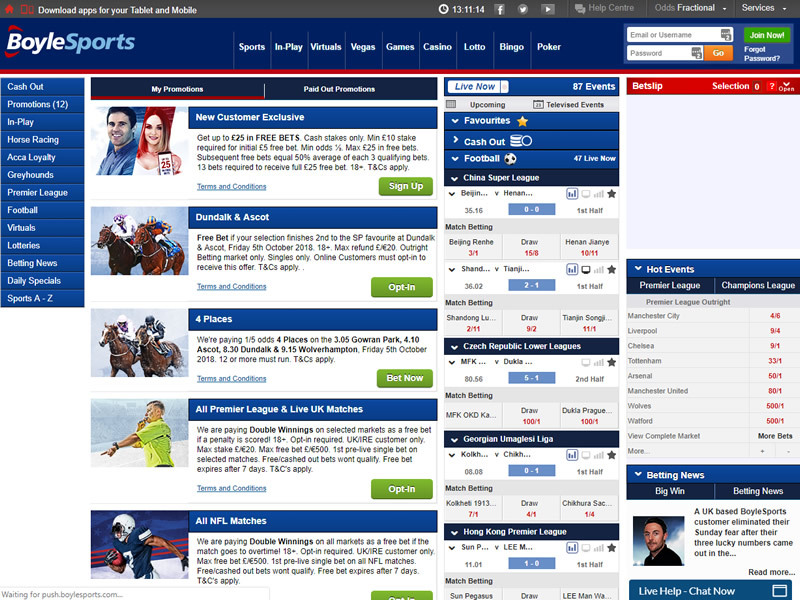 BoyleSports offers several live betting opportunities with present and upcoming events listed on the landing page itself. Sport coverage mainly focuses on UK and Irish markets with strong emphasis laid on horseracing events, but there is a wide range of sporting events to choose from for players outside Europe as well. BoyleSports has spared no expense when it comes to their mobile app and it is certainly in tune with where the direction of sports betting is progressing. 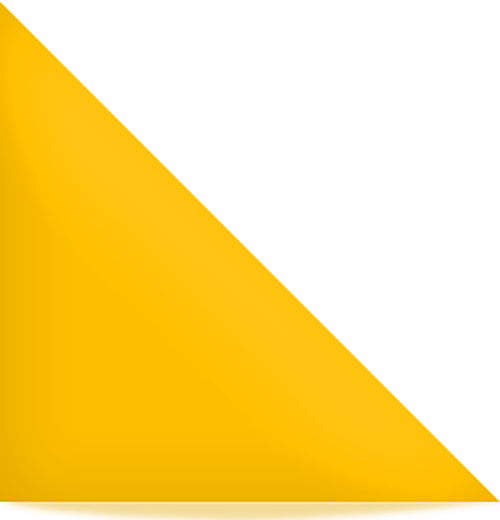 It has developed purpose-built apps for all mobile devices which allow you to do everything you’d be able to do on the desktop version. The applications are very efficient and easy to use and allow you to place bets at your fingertips. Like many online bookmakers also offer their members a casino with a large selection of the favourite casino games. Again, these include such games as blackjack, roulette, 3-card poker, craps, slot machines with a choice of 3 and 5 lines. BoyleSports also has poker games including 5-card draw, 7-card draw, aces high, table keno, Hi-Lo, Omaha and numerous forms of blackjack. Join BoyleSports and get a £25 bonus! 18+ T&Cs apply. Cash stakes only. Min £10 stake required for initial £5 free bet. Min odds ½. Max £25 in free bets. Subsequent free bets equal 50% average of each 3 qualifying bets. 13 bets required to receive full £25 free bet. Qualifying bet must be placed within 30 days of opening account. Free bet expires after 7 days. Further T&Cs Apply.